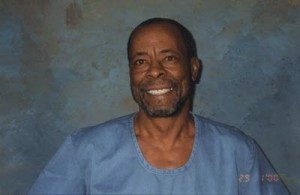 One of the U.S.’s longest-held political prisoners, Sundiata Acoli was denied release again on November 21, 2016, and ordered to wait 15 years before another parole hearing. Sundiata is 80 years old. Born in 1937 as Clark Edward Squire in Decatur, Texas, Sundiata earned a B.S. in mathematics and worked for various computer firms in the New York area. During the summer of 1964 he did voter registration work in Mississippi, and in 1968 he joined the Harlem branch of the Black Panther Party. He did community work around issues of schools, housing, jobs, childcare, drugs, and police brutality. In 1969 he and 13 others were arrested in the Panther 21 conspiracy case. He was held in jail without bail and on trial for two years before being acquitted, along with all other defendants, by a jury deliberating less than two hours. After Sundiata’s release, FBI intimidation of potential employers shut off all employment possibilities in the computer profession. Increasing FBI harassment, surveillance, and provocations drove him underground. In May 1973, while driving on the New Jersey Turnpike, he and two other Black liberation activists, Zayd Malik Shakur and Assata Shakur, were stopped by state troopers. A shoot-out ensued in which Zayd was killed and Assata was wounded. One state trooper was killed and another wounded. The state was subsequently allowed to try Sundiata and Assata separately, arguing two different theories of the case. In separate trials, Assata and Sundiata were each convicted of firing the same shots and killing Trooper Werner Foerster. Sundiata was sentenced to life in prison plus 30 years, the longest sentence in NJ history for such a crime. Assata later escaped and eventually received political aslyum in Cuba. In the fall of 1992, Sundiata first became eligible for parole. He was not permitted to attend his own parole hearing and was only allowed to participate via telephone. 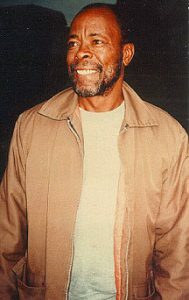 Despite an excellent prison work, academic, and disciplinary record, despite numerous job offers in the computer profession, and despite thousands of letters on his behalf, Sundiata was denied parole. Instead, at the conclusion of the 20-minute telephone hearing, the board ruled that he must serve another 20 years before another coming up for parole again—the longest span given in New Jersey history. Even though none of his charges are federal, Sundiata has spent most of the last 40 years in notorious federal penitentiaries in Marion, Illinois, and Fort Leavenworth, Kansas, where he was held 23 hours a day in his cell under high security. The first five years of his sentence were served in Trenton State Penitentiary, in a specially created Management Control Unit, where he was let out of his cell only ten minutes a day for showers and two hours a week for recreation. Sundiata’s treatment and denial of parole are directly related to his political views. In 1979, just before Sundiata was transferred to Marion in the middle of the night, the International Council of Jurists interviewed Sundiata and declared him a political prisoner. In 1992, the Parole Board explicitly stated that they imposed the 20-year waiting period on him because of his membership in the Black Panther Party and the Black Liberation Army, and because hundreds of letters of support characterized him as a New Afrikan Prisoner of War. Furthermore, NJ state police continually lobby against his release, instead seeking further punishment for the death of Trooper Foerster, despite a psychologist’s testimony that Sundiata shows regret for his involvement.